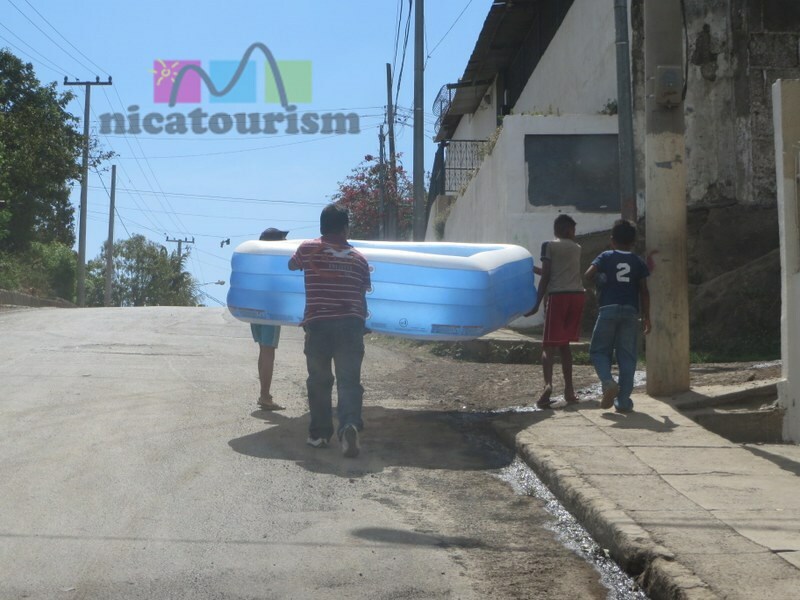 Nicaragua - People and places: Holy kiddy pools...Batman! This year, during Holy Week, traditionally one of the hottest weeks of the year, a lot of kiddy pools were sold. This may be attributed to a stronger lower-middle class economy here in Nicaragua. Seriously, there were a lot more sold and seen around town this year than in any other I can recall. These guys got a late jump...it was already Friday when they were taking this to their home, somewhere in the barrio Camilo Ortega (formerly know as Torres Molina). "Good luck filling it..."
Another interesting fact about the Holy Week this year is that temperatures although they started out really hot, have been really cool. In fact, is was sprinkling tonight here in Managua...feels like December again.